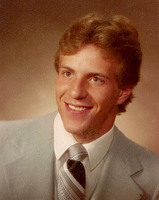 A graduate member of the Tomahawk High School Class of 1984 participating in football, hockey, track and baseball. Graduating in the top ten percent of his class, Terry earned 15 varsity letters as a four year participant. Some of the special high school honors Terry received include a 2 time All Conference selection, Lumberjack Conference Punter of the Year, and a Channel 7 All-Star Honorable Mention in football; an All North Central High School Hockey Conference Honorable Mention in hockey; a 3 time All Conference selection, 2 time state entry and a 2 time place winner in track; a 3 time All Conference, First Team All District, and All State Honorable Mention in baseball. Following high school, Terry continued his football career as a walk-on safety for the UW-Madison, where he played his freshman and sophomore seasons for Dave McClain. A college football career highlight came when he made the traveling squad that played in the 1986 Hall of Fame Bowl in Birmingham, Alabama. Terry was also a member of the UW-Madison's rugby team. Terry graduated in 1991 from Madison with a Bachelor's Degree in Landscape Architecture. He is the owner/sole proprietor of Clements Landscape Architecture in Rhinelander. While his business keeps him quite busy, he still has found time to work with the Rhinelander Hockey Program as a bantam coach and Tomahawk High School baseball as an assistant coach.